Walter Ramirez (97) put on an amazing game in the last round for Amatitlan, receiving a Interperformances Liga Metropolitana Player of the Week award for round 12. The 21-year old player was the main contributor (31 points, nine rebounds and two assists) to his team's victory, helping them to outclass Villa Nueva (#6, 2-4) with 37-point margin 109-72. Amatitlan is placed at 4th position in Guatemalan Liga Metropolitana. They would have been even better if they hadn't lost two games earlier this season. Amatitlan will need more victories to improve their 3-2 record. In the team's last game Ramirez had a remarkable 88.9% from 2-point range and got five three-pointers out of 6 attempts. It's his second year at Amatitlan and it's hard to imagine this team without him. Walter Ramirez has solid league stats. He is in league's top in points (4th best: 19.5ppg), rebounds (7th best: 8.3rpg), assists (7th best: 3.5apg) and averages impressive 57.4% FGP and 47.1% from behind 3-point line. The second best player in last round's games was another Amatitlan's star - 29-year old American David Goddard (185-G-89). Goddard had a very good evening with 41 points, 6 rebounds and 4 assists. Of course together with Ramirez he helped Amatitlan with another comfortable win outscoring slightly lower-ranked Villa Nueva (#6, 2-4) 109-72. This victory allowed Amatitlan to move up to 4th position in the standings. His team's 3-2 record is not bad at all. Goddard is a newcomer at Amatitlan, but is already one of team's top players. He belongs to the best scorers in the league with 25.5ppg (#1). His other stats are also decent: 5.3rpg and 4.3apg. 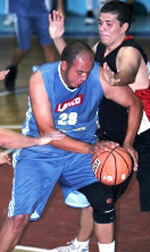 Third on the list of top players last round was forward Enrique Samayoa (193-PF-82) of Villa Nueva (#6). 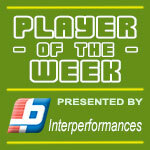 Samayoa scored 24 points and grabbed seventeen rebounds (!!!). 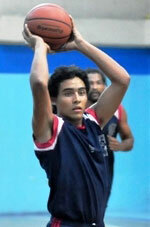 Despite Samayoa's great performance Villa Nueva lost 72-109 to slightly higher-ranked Amatitlan (#4, 3-2). But his team cannot count on just a single player as he also needs help of the other teammates. The chances of Villa Nueva not to end season at such low position in the league, however are less than slim as they have already lost 4 games, recording just two victories. With bigger assistance of his teammates, Samayoa could try to bring Villa Nueva's a little bit higher in the standings. Samayoa has individually a great season in Guatemala. After only 6 games, he made it on the list of the league's leaders in points with 21.5ppg (3rd best) and rebounds with 11.0rpg (#1 in league). He also has FGP: 53.2% and 3PT: 40.9%.